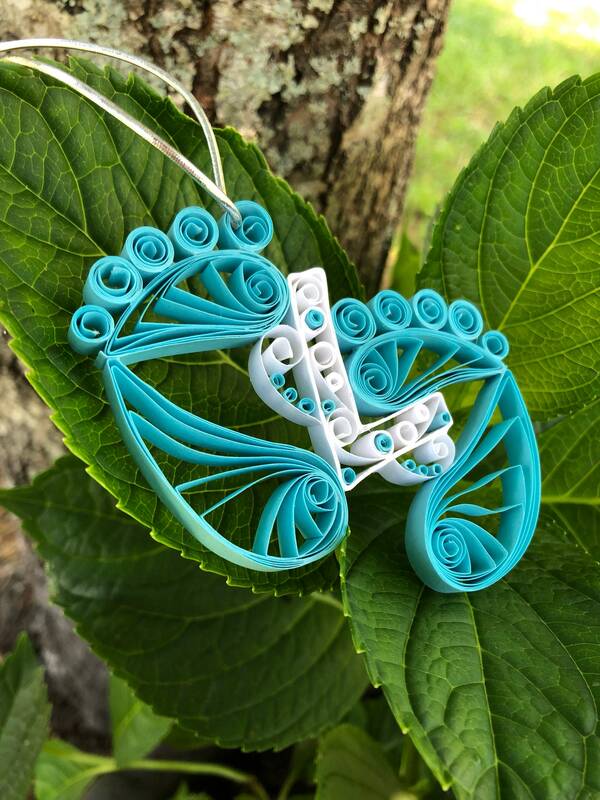 Celebrate the newborn in your life with these personalized cute quilled paper baby feet! 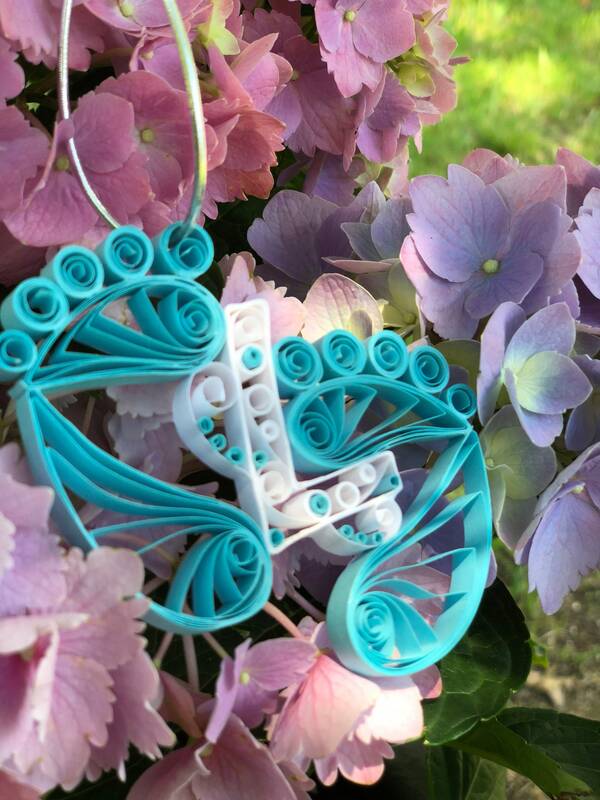 This is a one of a kind, handmade quilled baby feet window decoration or Christmas ornament that you can specify which initial you want between the feet. 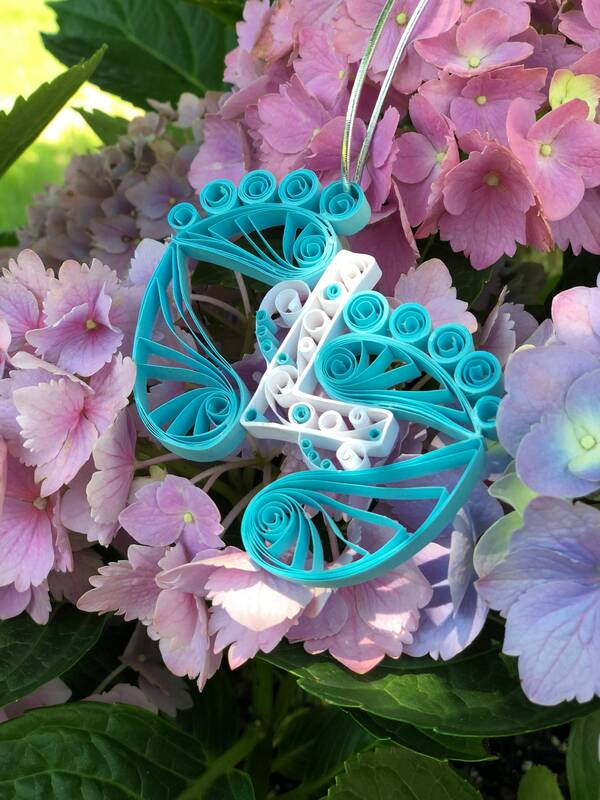 This 3.5”x2” ornament is made with light blue and white 1/4” wide paper. I have also sealed this beautiful gift with a clear sealant to enhance the durability of the ornament so you will enjoy it for years to come! This would look great hanging in your window or on your Christmas tree this year. I even have a flower design hanging from my rear view mirror! Perfect for a baby shower little extra or to celebrate baby’s first Christmas! See my other listings for little pink and yellow feet too!